5Dimes was established in San Jose, Costa Rica in 1996 and has grown into one of the most popular online betting sites in the world, largely because they still accept punters from the USA. 5Dimes is renowned for having generous lines and odds and it is a great sportsbook for both professional and amateur punters. Professional players like 5Dimes for its higher limits and ‘reduced juice’ while amateur players enjoy 5Dimes generous markets. While 5Dimes is not the prettiest online betting site, in terms of layout and design, it is functional on both mobile devices and computers and is easy to navigate for first timers. To begin at 5dimes’ online betting and casino platform is a straight forward process, you visit the website and hit the sign up button, which is easy to find. You will then be prompted to a sign up form, which is basic stuff like your name, address and phone number. After this point you will receive an email, which will have your username in it, and a link to claim various bonus offers the betting company offers, once you are logged in. To set your password you need to visit the settings tab, then hit change password, 5dimes will then prompt you to check your email, in this email will be a link to change your password. Once you have done this you will be prompted to log back in. Use your new password and user ID. Now you are free to deposit into your account with a number of methods, it generally takes only a few minutes to make a deposit with a credit or debit card, from most countries. If it takes any longer there is customer service on both phone and email that will talk you through the process. The only other verification you may have to deal with is when you make a withdrawal, if you have deposited with a credit or debit card, with a staff member potentially asking you for a document to prove who you are. This could be as simple as taking a picture of your license of scanning a utilities bill. This is standard practice at online betting sites. 5Dimes is not as well developed as some major betting sites that operate in fully regulated markets like the United Kingdom and Australia, but it is very functional and easy to navigate. When you first login you will choose sportsbook at the top of the website, you will then be taken to a page that lists all the various sporting events that you can currently bet on. Simply choose your sport and then it will take you to the page for that event, which will allow you to select all the various betting options 5Dimes is allowing on the chosen sport. Above the markets will be a drop down menu which allows you to choose what odds you want displayed — European (decimal) or USA odds, which is what the default setting is. You will also see other options like alternate lines and the option to refresh lines. As 5Dimes is not solely a sportsbook, across the top of the site you can navigate to the casino, the lottery offering, a selection of mini games (Real money Solitaire, Spider etc), racebook, bingo and poker. A screen grab of the NBA prop bets at 5Dimes in July 2017. 5Dimes is predominantly aimed at the USA market and as such has all of the major American sports covered heavily, all year round. They also have a strong selection of European football leagues and futures options on these competition. In fact 5Dimes does a superb job with futures markets. 5Dimes also offers the most alternate lines of any online betting site. If you want to bet the Yankees in baseball but don’t like the money-line, you can bet them -1, -1.5, -2.5, +1.5 or +2.5. In most baseball games there are up to 13 different betting options. 5Dimes is also a leader in prop bets and not just for the Super Bowl – it offers multiple prop bets on all of the major sports. Football: NFL, College, College Extra, Canadian, High School, NFL Props, College Props, Reduced. Basketball: Big3, Australia, Philippines, NBA Props. Baseball: MLB, Little League, Props, Reduced. Golf: Majors, PGA, European, Ladies. Tennis: ATP, ATP Doubles, WTA, WTA Doubles, Challenger Tournaments, ITF Women. Fighting: Boxing, UFC, Boxing Props, MMA Props. Politics: Cycling, Specials, esports, spelling bee, rugby league, pro wrestling, aussie rules, competitive eating, olympics specials. 5Dimes covers thoroughbred racing superbly in the USA and accept American punters, which is a beautiful thing. They also cover every harness and greyhound racing meeting in the United States. The sportsbook also has a great selection of other international race meetings including the major metro meetings from Australia, all UK racing, Ireland, South Africa and Hong Kong. They do, from time to time, cover other countries. We have been betting with 5Dimes for a while and they are not afraid to take a bet, which is a fresh change from some of the corporate bookmakers stringent bet limits. 5Dimes actually has several casinos under its hood, which are all accessible from the 5dimes menu on both desktop and mobile. Grand Casino: Probably the best casino available at 5Dimes with its downloadable interface and instant play casino. Is largely powered by Real Time Gaming. Jackpot Casino: Is completely instant play and powered by Betsoft, this means it probably has better slots than the Grand. Bonus Casino: The most basic layout you have ever seen, but it’s effective. Has a good selection of Random Number Games games, but bizarrely it has different selections for table limits. I guess it’s the quirks that make it good? MatchPlay Casino: Platform is powered by GameTime and has a selection of games from various, smaller software companies. 5Dimes has a strong selection of live dealer games with good table limits. The live dealer casino features blackjack, roulette, baccarat and Super 6. The table limits begin at USD $5 and allow as much as $5000 per hand or spin. The load time and video quality is extremely good and probably the best service open to American players. Deposit are simple and processed quickly, while standard withdrawal times of 3-10 days seems the norm at 5Dimes live casino. New players to 5Dimes sportsbook can chose from several different rewards options. When you sign up to 5Dimes your account is defaulted to their reduced juice reward plan. The reduced juice is probably the best and most popular rewards option, so by getting this option you bet 10 cent lines instead of the industry standard 20 cent lines. 5Dimes also offers a free play reward for new players where you can earn up $520 in free plays. The bookmaker also have a cash back option where you can receive up to 20 per cent cash back on your losses twice a year or 15 per cent back once per month. If you’re a big parlay bettor 5Dimes has an option that offers larger parlay payouts and if you’re a teaser bettor it also has an option that gives you an extra half point on all your teaser bets. 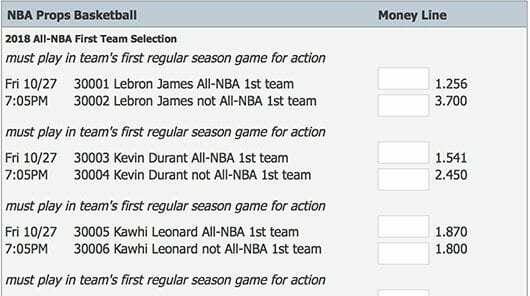 5Dimes has multiple ways to fund your betting account. The easiest way to fund your account would probably be by credit/debit card, although this option is only available to US/Canadian customers. Other popular funding methods include money order, person to person (P2P) and Click2Pay.